This is the week where you’ll be dazzled! With Disneyland’s 60th anniversary celebration launching in just a few days, lots of new will be revealed, but other hidden gems you must find in the old. One of those hidden gems is what you’ll find in the Peter Pan attraction inside Fantasyland at Disneyland park. 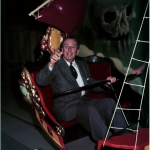 Imagineers have been hard at work plussing up the storytelling inside the attraction and later this summer, you too can see the return of the boy who didn’t grow up. 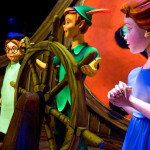 Peter Pan’s Flight is a truly classic Disneyland experience. It is one of the original attractions at Fantasyland that opened alongside with the park when it was first opened in 1955. 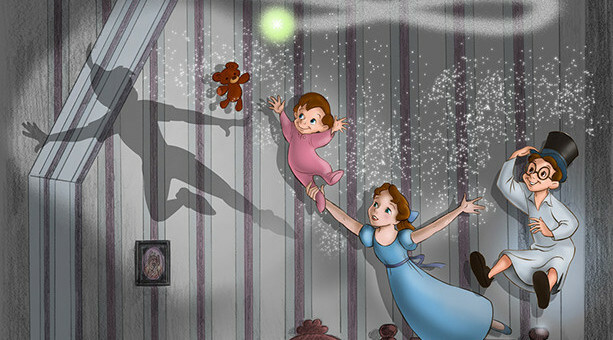 Walt Disney’s animated film Peter Pan was based on J.M. Barrie’s play and book about a twelve-year old boy who refuses to grow up, just like Walt Disney, who played Peter Pan in a school play and says one of his fondest memories was seeing a theatre performance during his childhood. 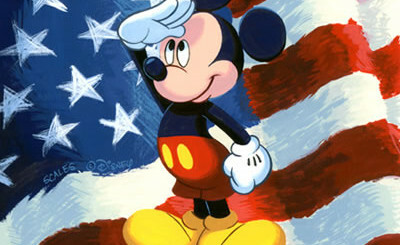 It made such an impact on his life that he decided to create the attraction for the opening of Disneyland. When it first opened, guests were supposed to ride through the perspective of Peter Pan, but the concept never caught on. 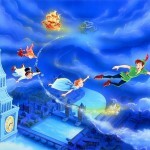 The original attraction had guests take off from the nursery and fly over London, onward to Neverland, and finally through Skull Rock where riders saw Captain Hook, Mr. Smee, Princess Tiger Lily, and the Crocodile before escaping back to the real world. Still, Imagineers didn’t give up on the attraction. It wasn’t until later that other Disney Parks had started including Peter in their attraction that we finally saw him in the Disneyland version of the attraction in 1983. The attraction is set to reopen on July 1 with an updated nursery scene and new special effects that are sure to bring a 60-year old attraction into a dazzling new future of sharing its story for a new generation!